Are You Planner Sticker Aware? Happy Tuesday! Obviously this is not a real thing but I decided I would take my negative experience and try to make it into a positive one by making others aware. The planner community is a very sharing, giving, loving, and knowledgeable group of individuals who really do make planning happy and fun. I absolutely adore the planner community and enjoy giving back with my creations. There are many kinds of sticker makers in the planner community. Although, I would imagine there are some people that think all there is too it is taking an image and resizing it in a word document and printing it out. For the record that is not how most create their stickers. That is a convenient way for the non-tech & non-graphic people to do it themselves. I take a lot of pride in what I create and put my heart, energy, and time into it. There are several steps involved to my process of creating stickers. The first step is having the vision of how the sticker should look. Taking the time to design and create the image and prep it for a layout. There are a lot of steps involved before it goes to a final product in a layout to be made into a PDF file for a printable. 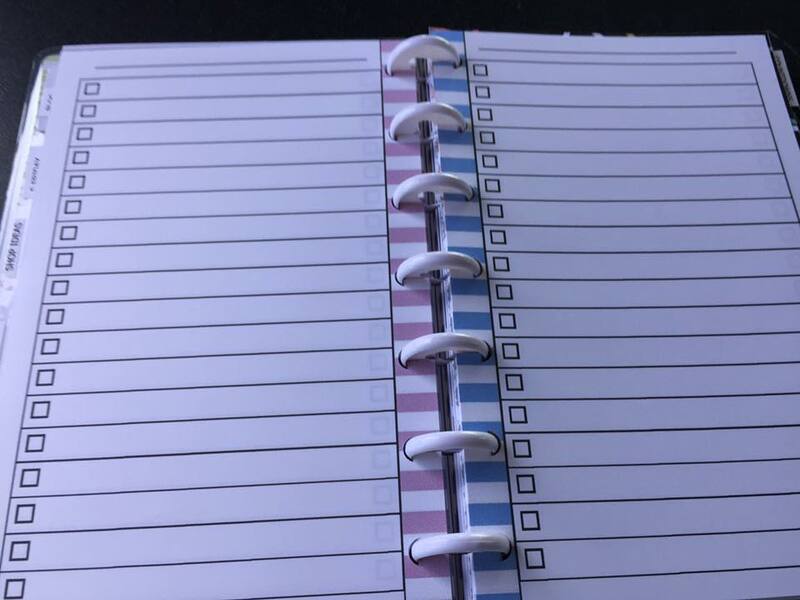 Recently one of my Etsy sticker listing photos was taken from My Life Planners Etsy Shop and the store information on the photo was cropped out. The photo was then taken to a different sticker maker in a FB freebie group and recreated and posted in the freebie group as a freebie. The FB Freebie Group Sticker maker had no idea that the photo they were given was from an Etsy Shop. I have since reached out to the sticker creator and the freebie has been removed from their group. The matter has been resolved and with this negative experience I felt I should turn it around and make it a positive to help educate others and make them aware. As flattered as I may be that my design was nice enough that someone wanted to have it recreated, it is a bit of in insult that an individual from the planner community would do something that shady and be deceitful. However, unfortunately it happens more than it should. Within the last month, I found a free printable from another creator that was posted in an Etsy shop where (someone other than the creator) was claiming the work as their own to make money off of it. So as you can see it does happen in other situations as well. This blog post was created to allow me to reach out and remind both consumers and creators to be Planner Sticker Aware. There is a lot of time, energy, and heart that goes into making stickers. It is done out of love for planners and giving back to the community. The planner community is a small tight knit group. Most shops and creators know each other and are familiar with each other’s work and styles. Consumers: If you see a design in another shop or that was made by someone else and you want the same thing. Please support the original creator/shop and do not try to get someone to reinvent the wheel and recreate it for you cheaper or in a different color. Contact the original creator/shop first to see if they can accommodate. Sticker makers love to make their customers happy so chances are they would be willing to alter the design to your liking if they can. Please do not be shady and try to cut corners. Creators: If you are given a picture to create something; please do your due diligence and at least question “why do they want the same thing created without going to the original creator”? I can understand someone sending a picture to give you an idea of what they are looking for to be created. However, if the individual is wanting the exact same sticker, a red flag should pop up. Please do not create it exactly the same. 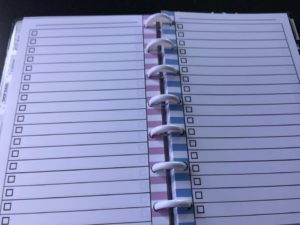 Thank you for taking the time to read this blog post and hopefully make you more aware of planner stickers. Now for the fun stuff – I’ve been playing around with some checklist inserts and I decided to give you a chance to test them out. If you would like to have this insert editable and perhaps in a different color, contact me and we can discuss a custom order.